Use cards and end screens to encourage your viewers to take an action. Cards are preformatted notifications that appear on desktop and mobile which you can set up to promote your brand and other videos on your channel. You can choose from a variety of card types like: merchandise, fundraising, video, and more. Once they’re set up, a small rectangular box, or teaser, will appear in the top right corner of the video to give your fans a preview of the message. If viewers tap or click the teaser, the card associated with the video appears along the right side of your video (or below the player on mobile in portrait mode). Cards work well when they are placed in conjunction with scripted calls to action or when they are relevant to your video content. For example, if you mention a specific video or a piece of merchandise, you could try adding a card at that exact moment. Cards are convenient because they give the viewer an option to click, and if they don’t, it disappears from their view. Note: there may be cases when the card may not show up, for example, if your video has been claimed by Content ID and the content owner has set up a campaign. You can use cards and scripted calls to action to link to other videos, playlists, associated websites or to prompt your audience to buy merchandise or support your crowdfunding campaign. You can also use cards in older videos to highlight your most recent uploads, or to promote merchandise or fundraising campaigns. Check YouTube Analytics to see how well your cards are doing. For more info on how to navigate the data, click here. 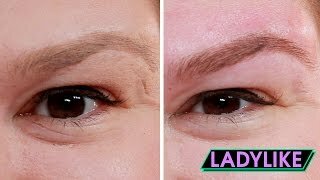 End screens are a powerful tool which can help extend watch time on your channel by directing viewers to something next at the end of your videos. You can add them to the last 5-20 seconds of a video and they appear on both desktop and mobile. End screens allow you to promote up to four elements. They can point viewers to other videos, playlists or channels on YouTube; to call for subscriptions to your channel; and to promote your website, merchandise, and crowdfunding campaigns. Note: There are times when end screens may be skipped, such as when your video is playing in background mode. Also, end screen size and placement can vary based on the dimensions of the screen so try to avoid pointing to an exact place on-screen. Use end screens to promote up to four different elements: a video or playlist, encourage viewers to subscribe, cross-promote another channel and link to approved websites. Consider leaving space at the end of your video for your end screen elements to sit. Card teasers and branding watermarks are suppressed during an end screen, so make sure you do not use both during an end screen. Check YouTube Analytics to see how well your end screens are doing. For more info on how to navigate the data, click here. Feature other relevant videos on your channel or another video you like on YouTube in both video cards and end screens. You can select a video you want to feature manually, or, with end screens, YouTube can do this for you by selecting either the latest upload or the best option for your viewer. Direct viewers to more information like content on your associated website, your merchandise or crowdfunding campaign, or other websites important for your channel. Learn more about associated websites. Highlight collaborators by adding channel cards. Ask questions or get feedback using poll cards. Check out our pre-approved merch and crowdfunding sites. Read up on merchandise best practices to get started. 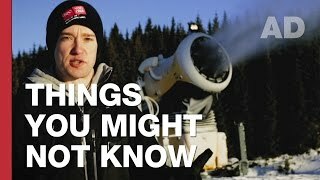 Tom Scott travels to Norway with the Olympics YouTube channel and uses a video card to suggest the next video. Buzzfeed uses end screens to promote other episodes from the series "Ladylike" to viewers. You can boost your chances of success with end screens and cards by making sure that your viewers are aware they’re there. Try combining these with a call-to-action in your videos so that your audience pays attention. When you are shooting a video, consider where you will place your end screen elements and leave space in the shot. However, try not to point to an exact spot in the frame because the location of end screen elements (and cards) may appear in different places based on device. Think carefully about what teaser text you can use to supplement your link cards. You can include a verbal call-to-action such as “hit the ‘i’ button” or “check out this playlist” in your scripts when filming. Consider editing in a visual graphic element that draws your viewers’ eyes to the card or end screen they can click on. 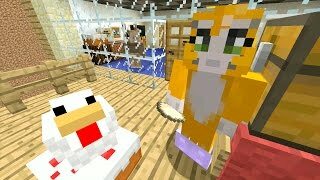 Stampylonghead sends his audience on an interactive egg hunting adventure, powered by video cards. 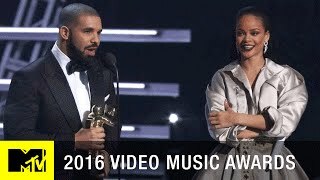 This video’s end screen gives viewers several options for what to view next--including Rihanna’s acceptance speech and other highlights from the award show. End screens only appear in the last 20 seconds of your videos, but you can use cards throughout. Consider the context of the viewer when adding end screens. If your video is part of a series or playlist, it might not make sense to add an end screen if you’re leading them to the next video via a playlist. Set video cards to animate in the last 20% of your video, just before you are wrapping up, so that viewers see them before they move on to the next video. Note: cards won’t animate if used at the same time as an end screen. Set merchandise link cards to appear when your merch appears in the video. If you are using multiple cards, space them out. In this vlog all about recovery and running, Casey Neistat talks about an old movie he made about running four years previously.